The stand-off between Greece’s lenders has ended – sort of. The deal isn’t perfect but it paves the way for further debt relief. The negotiations over restructuring Greece’s second bailout promised a potentially explosive end-game. The IMF wanted Greece’s debt, careering badly off course, to be cut to a “sustainable” 120 percent of gross domestic product in 2020, from a projected 144 percent. The euro zone, led by Germany, refused to take the principal loss that it would involve, as outright haircuts were seen as politically toxic. 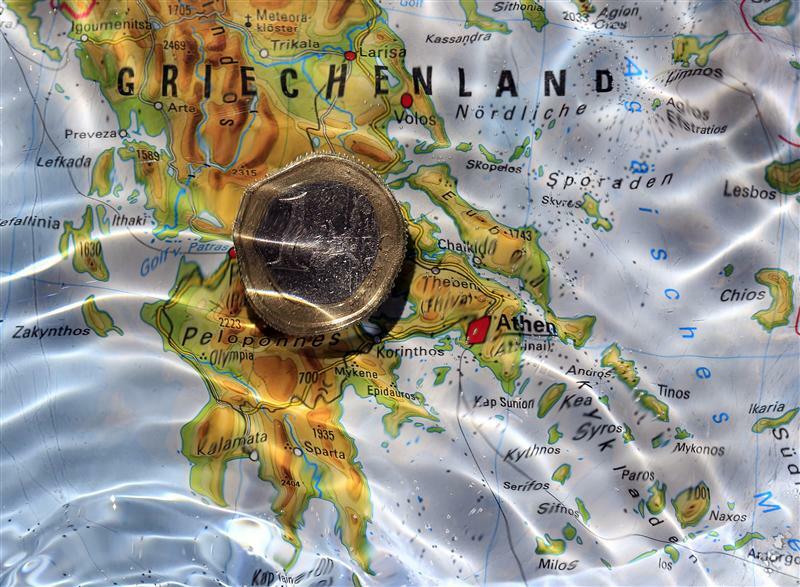 Without a deal, Greece would be cut adrift. The deadlock has been broken. Greece helped by passing a tough budget, and agreeing to severe fiscal oversight. Also, both the IMF and euro zone gave way. The IMF has abandoned the 2020 debt target, instead settling for 124 percent of GDP. And the euro zone agreed to give Greece substantially cheaper lending terms; pushing out the date of repayment on its loans, lowering interest rates, granting a partial interest holiday, and giving up profits on the European Central Bank’s Greek bond holdings. The politically toxic haircuts have been avoided, but euro zone countries have taken a substantial loss nonetheless. The difference is that it won’t look so bad to restive public opinion. Finally, the private sector will contribute. Much of the debt relief will come from Greece buying back private debt at 35 percent of face value – in effect, a second restructuring. The deal is contingent on private sector creditors accepting to take a hit. The euro zone has not spelled out a target for the buyback, but Greece’s domestic investors will be corralled to get over the line. And the agreement raises tricky questions for other peripheral countries, which may legitimately ask for similar interest relief or distribution of ECB profits. Greece has two more years to meet fiscal targets, but still faces years of austerity and political uncertainty. The key part of the deal is a commitment by the euro zone to offer further debt relief once Greece reaches a primary surplus, hopefully in 2014. The carrot of further debt relief may persuade Greece to reform, and foreign investors to put money into the country again. And the Greek problem will be pushed back until after next year’s German elections. Euro zone finance ministers and the International Monetary Fund clinched an agreement on reducing Greece’s debt on Nov. 26 in a breakthrough to release urgently needed loans to keep the near-bankrupt economy afloat. After 12 hours of talks at their third meeting in as many weeks, Greece’s international lenders agreed on a package of measures to reduce Greek debt by 40 billion euros, cutting it to 124 percent of gross domestic product by 2020. In a significant new pledge, ministers committed to taking further steps to lower Greece’s debt to “significantly below 110 percent” in 2022 - the most explicit recognition so far that some write-off of loans may be necessary from 2016, the point when Greece is forecast to reach a primary budget surplus.